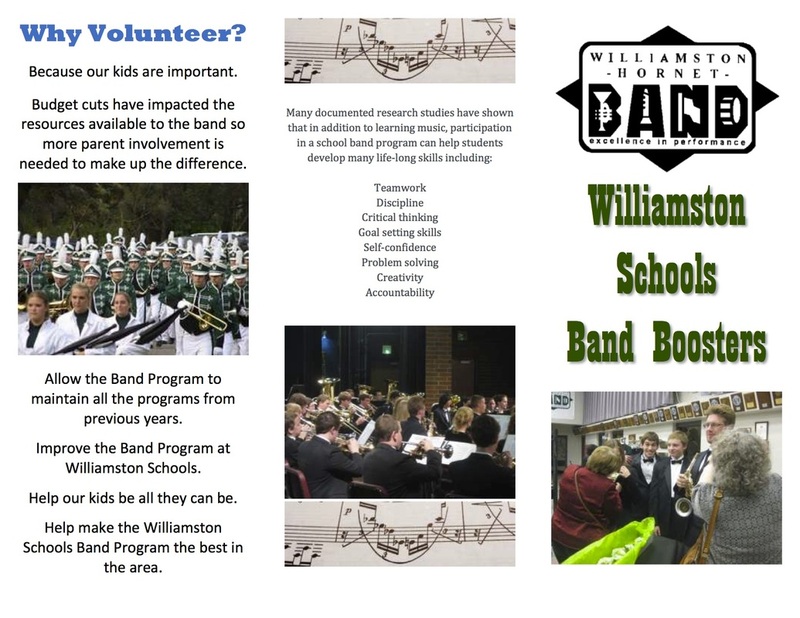 The Williamston band booster organization helps the band program run fundraisers and events throughout the year. Please help advocate for music and the arts. Visit the Michigan band and orchestra association's website for more information on how you can help. Attached you will find the minutes and the budgets (2013 and 2013-14) that were presented at the most recent Band Boosters meeting on May 22nd.